If you’ve ever gotten behind the wheel and seen red and blue lights flashing behind your vehicle, you know the feeling of dread that immediately sets in. When this happens, you can probably expect an expensive traffic ticket. What’s more, you can most likely anticipate a hefty increase in your car insurance rates. The good news is that if you’re an Arizona driver, your state uses a driver improvement program that may be able to reverse your points or even cancel your ticket. On the other hand, it’s best to know how traffic laws in Arizona work to prevent getting stuck with a ticket in the first place. 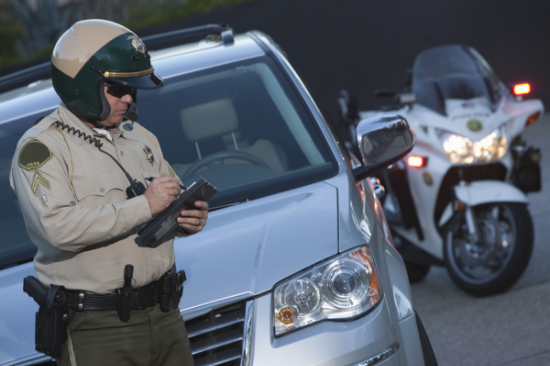 Here’s what you need to know about traffic tickets in Arizona and how an online traffic school can be useful in dismissing tickets. When you’re issued a traffic ticket, you’ll have to pay a large fine. Furthermore, you’ll also have points tacked onto your Arizona driving record. It’s critical to be aware of how many points can be added to your driving record. Points for various driving violations range from 2 to 8 points for each infraction with the more severe ones having more points. Consider how racking up too many points can mean having your driver’s license suspended. Criminal violations can lead to your license being immediately suspended and having to pay significant fines and penalties. These driving infractions fall into one of two categories: misdemeanors and felonies. Misdemeanor driving infractions are those, such as DUIs (driving under the influence) and reckless driving, while felonies are more severe. Trying to escape from a law enforcement officer when you’re involved in a DUI accident, which involves an injury or death, can result in a felony conviction. A hit-and-run accident—(6 points) and your license being immediately revoked. Reckless driving—(8 points) and your license could be suspended. Aggressive driving—(8 points) and your license being suspended for 30 days. DUI (8 points)—This also involves at least 10 days in jail, license suspension, a fine of $1,250 and performing community service. Extreme DUI (8 points)—This type of DUI is when a driver has a blood alcohol concentration (BAC) that’s at least 15 percent. In addition to what’s involved with a regular DUI, an extreme DUI means 90 or more days in jail and a fine that’s at least $3,000. A moving traffic violation that results in a death can entail 6 points on your driving record and your license being taken away for three years. It could also include jail time. If you lose your traffic ticket you may be able to search online to find out the details. However, this only applies to certain tickets, which include speeding tickets, red light tickets, moving violations and parking tickets. Besides paying for traffic tickets in person, you can also pay an Arizona traffic ticket online as well as by phone, but this depends on the county. Some cases involve a court appearance. Also, in specific cases, drivers can complete a defense driving course for dismissing tickets. If you accumulate as many as 8 points in a period of 12 months, your driving license can be suspended for as long as one year. Are you facing a traffic ticket? At Traffic School Online, we offer an online traffic school and defense driving courses that are useful in dismissing traffic citations and reducing insurance expenses. Please contact us and learn more about all we have to offer.